I have run a sub-3:00 hour marathon in each of the last 4 decades. I am planning to make it 5 decades in 2020. Aside from getting to eat most anything, running has a way of turning any day into a positive one. 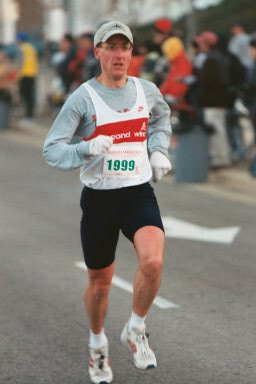 Participating in the 100th Boston Marathon in 1996 was the highlight of my career. I was in some of the best shape of my life, but got injured in the weeks leading up to the race. I made it to the start line and my running buddy pulled me through to a sub-3:00. The sport of running has given so much to me. Pacing is a small way to give back and help others achieve their goals. 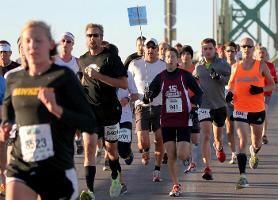 I have paced both the half and full at the Quad Cities Marathon several times. The QC Marathon is an awesome event and the pacers care so much about their runners. If you haven’t run it, check it out. 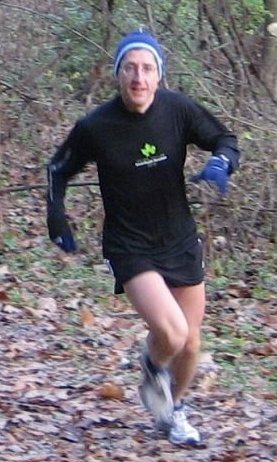 I have also paced the Illinois Marathon twice and the Charlotte Marathon once. I completed Detroit in 2:46:05 in 2008 as a 42-year-old. I am very familiar with the course. And, we’ll have some fun along the way. Relax. It’s just running. You do it almost every day. The race will take care of itself. Let it unfold and flow with it. I am looking forward to meeting some new friends in Detroit and helping many folks achieve their goal times. My Mom suffers from Alzheimer’s, so I look for opportunities to use my running to raise funds for the Alzheimer’s Association.